We recently wrote about a new double tax agreement (DTA) signed on March 20th with Argentina. This is the latest in a series of worrying DTAs that Switzerland has been signing with countries from the Global South, despite the OECD Global Forum’s explicit criticism of Switzerland for signing only DTAs with other nations. As we have noted before, countries should generally sign much narrower Tax Information Exchange Agreements (TIEAs) with tax havens – which, for all their faults, deal only with information exchange. They should avoid signing the much broader DTAs: these often see developing countries signing away fundamental taxing rights, in exchange for minimal information exchange. Is Switzerland’s unwillingness to change its spots on DTAs a sign of the toothlessness of the Global Forum/OECD campaign against tax havens? 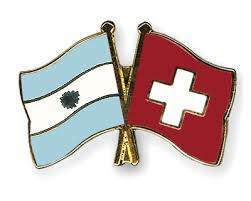 The treaty between Argentina and Switzerland follows some robust decisions by Argentina’s Tax Authority (AFIP) in combating tax avoidance and unfair tax agreements, notably with its recent decision to terminate of DTAs with Austria, Switzerland, Chile and Spain. However, even the best efforts of developing countries seem to be insufficient when trying to secure an effective and low-cost access to relevant information from the Swiss Confederation. The new Argentina-Switzerland DTA is supposed to tackle two major flaws present in the old treaty – a lack of information exchange, and major tax concessions on royalties. Yet from an exchange of information perspective, it is hard not to conclude that the treaty falls short on provisions that should have been included, especially with respect to automatic information exchange (AIE). By the time this DTA’s text was negotiated, the G20 had endorsed AIE and published its Common Reporting Standards (CRS). Even if this had not happened when the DTA was still being negotiated, why couldn’t they have postponed the signing to include the new AIE provisions? At the very least, they could have included a commitment to start negotiating soon to implement AIE. Instead we see this legally unnecessary – but still highly symbolic – stipulation: “It is understood that Article 25 does not require the Contracting States to exchange information on an automatic or a spontaneous basis” [emphasis added]. Was it really that difficult to delete this provision before signing it? One can only wonder who might be responsible for a treaty that contains only the deeply flawed “upon request” standard for exchange of information, which has already been deemed obsolete by the G20, unless complemented by AIE. Was it the fault of Argentina, a G20 member which recently endorsed AIE as the new global standard of information exchange and also committed to being an early adopter of the new OECD standards? Or was this Switzerland’s fault? Let’s not forget here: Switzerland, for the second time runnin, is at the top of TJN’s Financial Secrecy Index. This is a country that ironically invokes the “level playing field” argument as a reason not to engage in AIE – until every other jurisdiction has implemented it. Until very recently, out of 92 Swiss tax treaties reviewed by the Global Forum which are currently in force and meet the international standard, “surprisingly” only one was with developing countries. The Swiss attitude is puzzling, contradictory and hypocritical. It rejects bilateral AIE with Argentina, yet at the same time emphasises the CRS’ reciprocity and confidentiality provisions: as we explained here, these are subtle but powerful tools to try and effectively prevent AIE with other developing countries. Then again, as OECD tax boss Pascal Saint-Amans notes, Switzerland signed a Model 2 FATCA agreement commiting to non-reciprocal automatic information exchange in favor of the United States. Given all this, the best hope may be that Argentina’s Congress will demand – before the DTA is ratified – that AIE provisions be included; at the very, very least, that negotiations should be started. As for AFIP, it will – optimistically – effectively and regularly review the benefits and implementation of its tax treaties, by including or excluding countries from the list of cooperative jurisdictions, and will punish jurisdictions that do not co-operate on information exchange. And the option to terminate an agreement is always on the table. As for Switzerland, we want to close with a slightly more optimistic view: the government announced recently that it would unilaterally extend “upon request” information exchange to all DTA treaty partners. This is a welcome step away from its previous strategy to use information exchange “upon request” as a bargaining chip for lower withholding taxes. Yet the new strategy may now involve wielding AIE as a bargaining chip instead. The onus remains on the Global Forum to make sure in its guidelines that this kind of behaviour will not be acceptable under the new OECD system.